Since his emergence on the scene as a member of alt-country progenitors Uncle Tupelo, Jeff Tweedy has undergone a very storied and public growth into the wry Wilco leader known and loved today. Through contentious lineup changes, struggles through addiction and the formation of his family, Tweedy has remained a beloved figure in modern rock and folk, with plenty of great records, songs and quips under his belt. With the release of his first-ever solo album, Together at Last, in June, we felt there was no better time to tell Tweedy's story than now. 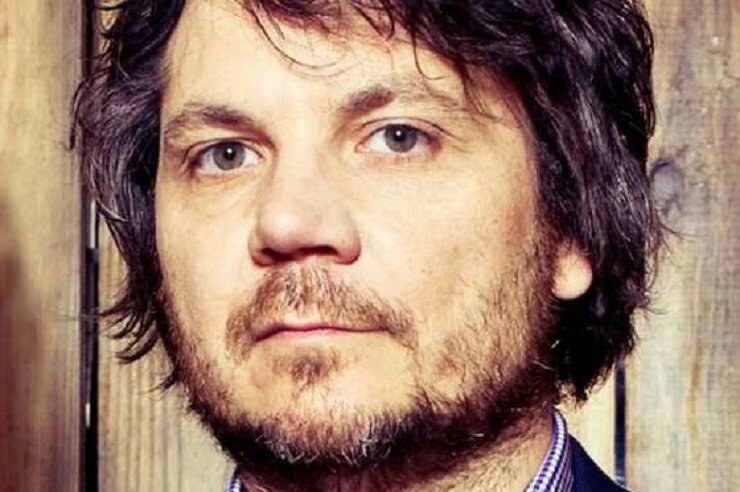 You can check out our full Timeline in the latest issue of Exclaim!, but before you do, here are five noteworthy facts from it you may not know about Jeff Tweedy. 1. Tweedy began playing guitar in earnest after a childhood bike accident. When Tweedy is 12, he gets into a bicycle accident, and his right leg is impaled by a steel bar from an unfinished drainage pipe. In a 2013 interview with Chicago Magazine, he claims he still has no feeling in his right thigh as a result of the crash. He spends the whole summer bedridden, recovering, and teaches himself to play guitar to pass the time. 2. Tweedy formed Wilco mere days after Uncle Tupelo's final show. Days after their final show, Tweedy and the rest of the final Uncle Tupelo lineup start their first rehearsals as a new band, which they quickly dub Wilco. Shortly after forming, Wilco sign to Reprise Records, a Warner Bros. subsidiary. Teaming back up with former Uncle Tupelo sideman Brian Henneman, they quickly record and release A.M., which largely retains Uncle Tupelo's alternative country sound. 3. Tweedy initially hated the term "dad rock," but eventually learned to embrace it. It's in the reviews for Wilco's 2007 LP, Sky Blue Sky, that the band are labelled "dad rock" for the first time. Though Tweedy's initial reaction to the label was negative — in a 2014 interview with Esquire, Tweedy revealed that he first found the label "unflattering and hurtful" — he would later change his tune on the term, telling Men's Health in 2011 that he "recently had a revelation about it: When people say dad rock, they actually just mean rock." He goes on to say "I don't find anything undignified about being a dad or being rocking, you know?" and "If I picture what playing well into my '60s or '70s would look like, it would be more like John Prine or Leonard Cohen — people who have been allowed to grow old. The Rolling Stones haven't been allowed to grow old. Their fans demand that they continue to live up to that spectacle all the time. But they're all freaks of nature, you know?" 4. Tweedy's first attempt at a solo record was thwarted when he decided to form a band with his son instead. While Wilco takes a break from recording, Tweedy takes on production work in the Loft. He produces slowcore outfit Low's tenth album, The Invisible Way and Mavis Staples' One True Vine. Tweedy plays most of the instruments on One True Vine with one exception — drums, which are handled by his eldest son, Spencer. Though Tweedy had begun plans to record a solo album, he decides to let his son in on the action. The two formally team up, naming their band Tweedy. In a statement, Jeff calls the album "a solo album performed by a duo." During live performances, he jokes, "It took me 18 years to have a solo record because I had to grow a drummer." 5. Tweedy has appeared on Portlandia and Parks and Recreation. During 2014, Tweedy also makes a pair of appearances on popular television shows Portlandia and Parks and Recreation. Despite the change in medium, Tweedy's roles hit close to home: He plays himself on Portlandia in a sketch about the authenticity of folk music; on Parks and Rec, he plays the former frontman of a legendary rock band who is courted by the main characters regarding a potential reunion.